Examines the medical human research industry from the point of view of the researched. Written by human test research subjects (also known as 'guinea pigs'), this book includes stories about flipping out on Prozac, sleep deprivation and gene therapy. 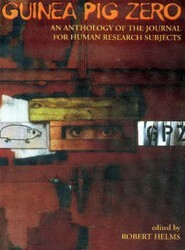 It also investigates the history of human test research.